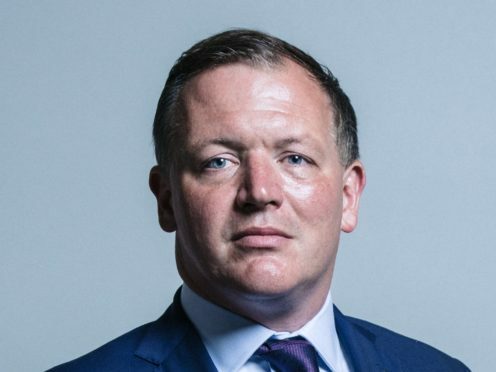 Media watchdog MP Damian Collins has called for emergency legislation to stop democratic elections being corrupted by misinformation. He has said even memes could be regulated to ensure the public is properly informed. The MP has previously criticised social media companies for providing a platform for the dissemination of false information, and wants increased powers to tackle “fake news” and “election meddling” online. Mr Collins, who chairs the Digital, Culture, Media And Sport (DCMS) Select Committee, has said legislation should be passed before any referendum, general election or European election in order to ensure factual and fair campaigning. Speaking at the Institute for Public Policy Research convention in Oxford, he has said regulation should be in place to tackle false information action online, including the spread of information through shareable memes. Asked if any upcoming democratic event would be safe from bots, fake accounts or fake news, Mr Collins said: “No. It would largely be as vulnerable as previous elections have been. “All these things could still happen again. Maybe more sides would be doing it. “We should push through some emergency legislation. “That could be done reasonably quickly. There would be cross-part consensus for that. Mr Collins has called for regulators to have powers to act against online information that is “totally fabricated”. He has said regulation, which exists for traditional media such as television and newspapers, should be extended to the likes of Facebook and Twitter. Mr Collins has denied legislation would hamper freedom of speech. He said: “We plainly have free speech, but there are standards. “Say there’s a person who says the water supply in Oxford has been poisoned, or a safe vaccine is actually really dangerous. The MP has said that so-called “deep fakes”, fabricated but very realistic videos, are on the rise, something which could threaten fair elections. He has said such brazenly false content should be an uncontroversial target for regulation. He added that “it could work for memes but I think it’s harder”, and said they are responsible for a rapid spread of a large amount of information online. Mr Collins has suggested an incentive for Facebook to tackle fake accounts would be to accuse them of false advertising, as their purported user base would actually be smaller than they publicise if fake accounts are included. In the midst of Brexit uncertainty, there is still the possibility that the UK will take part in elections for the European Parliament in May, by which time Mr Collins hopes legislation would be passed.